Here’s how to set up/configure Microsoft Exchange ActiveSync Email Account on Samsung Galaxy S5 smartphone. You can mark option to Send Email from this Account by Default for you to set this account as your default email account. This prompt will typically show if you have already set up several email accounts on your device. Touch Next to continue. Step 7. Wait for your device to find other necessary details to set up your account. If unsuccessful, verify the Exchange server settings are correct then touch Next to proceed. If successful, review the Activation screen details. If you don't want to see the Activation screen the next time you set up an Exchange ActiveSync email account, just unmark the Always Show option, then touch OK to continue. Step 8. Scroll down and touch Next on the Account Options screen. Step 9. Enter a name you prefer for this account. Doing so will help you easily identify the account and differentiate from other accounts you have on your device. Step 10. Touch Done to complete the process. Congratulations! 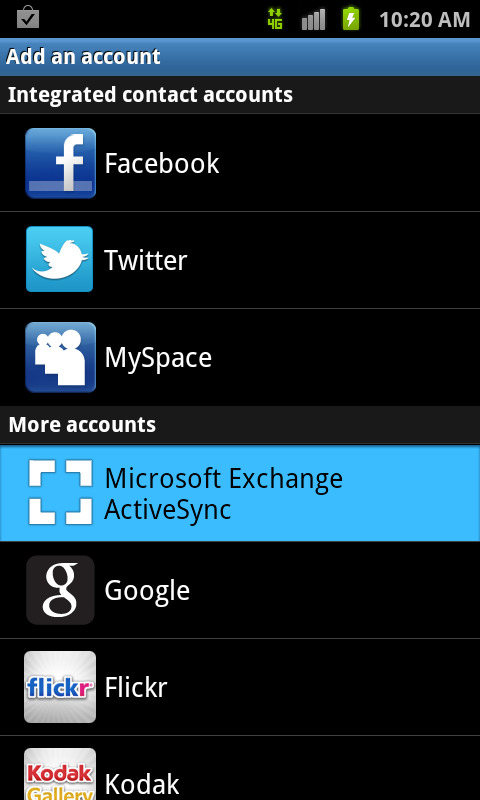 You've just setup a new email account with Microsoft Exchange ActiveSync for use on Samsung Galaxy S5.